What's more comforting than cheese? 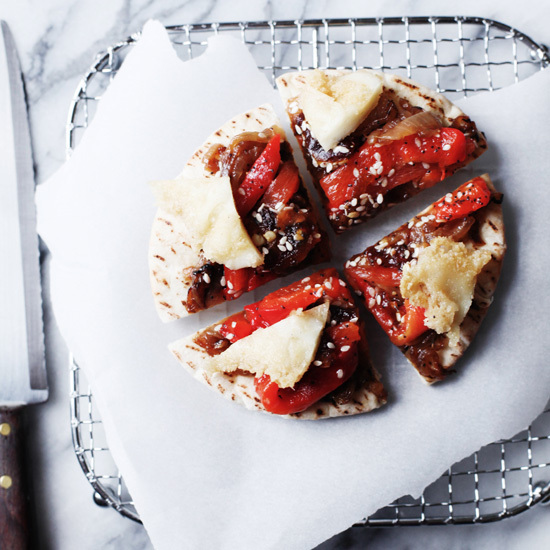 Try warm, crispy, gooey fried cheese. 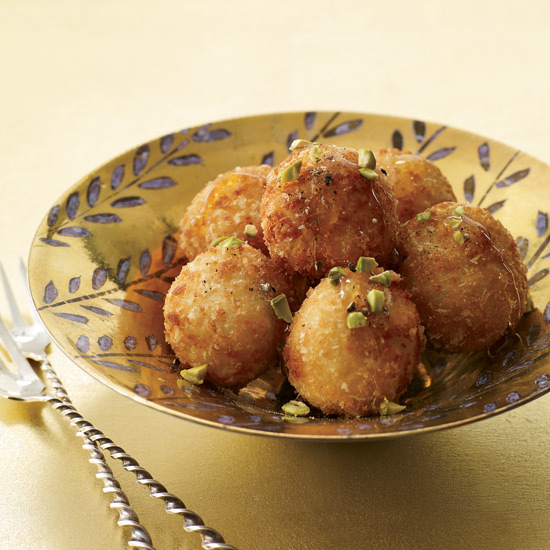 From savory Greek-inspired tarts to sweet, honey-coated goat cheese balls, here are five amazing recipes that call for fried cheese. 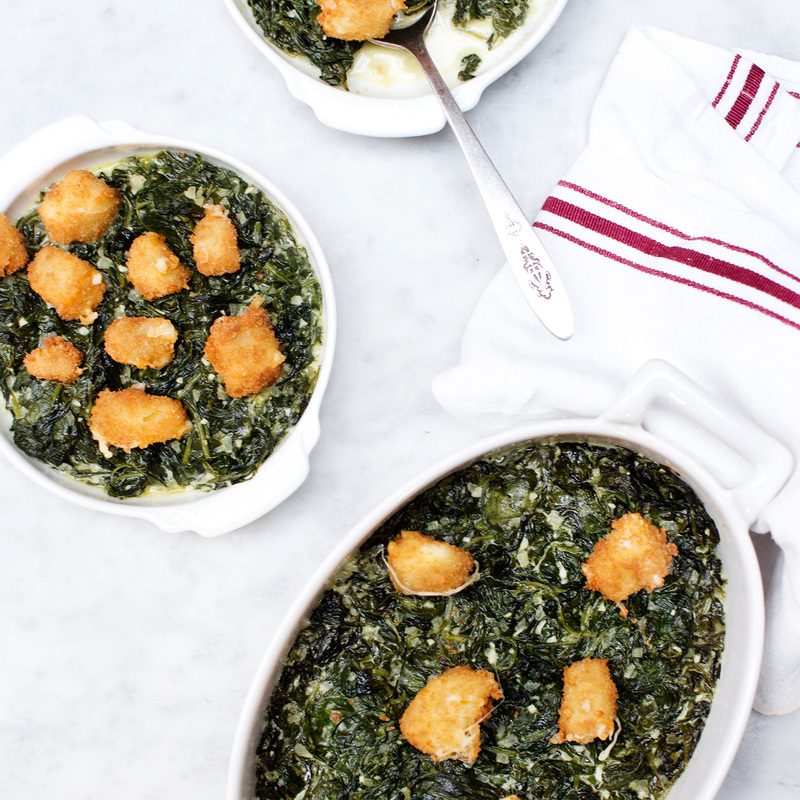 Chef Gavin Kaysen's decadent creamed spinach features delicious cheddar cheese curds. 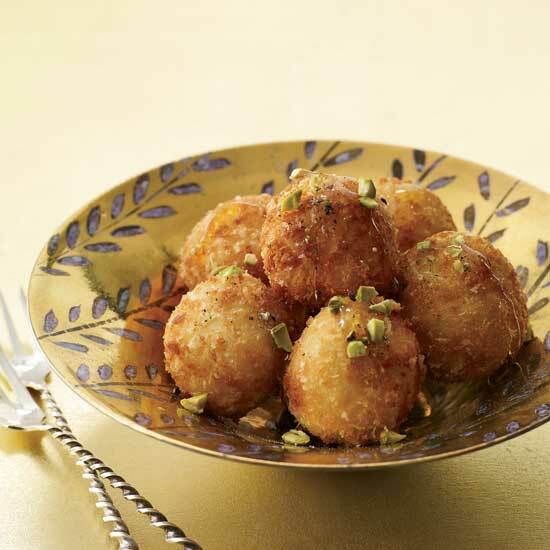 These sweet-savory fritters are excellent either as an appetizer or a dessert. Fried Kasseri cheese tops these savory Greek-influenced tarts. 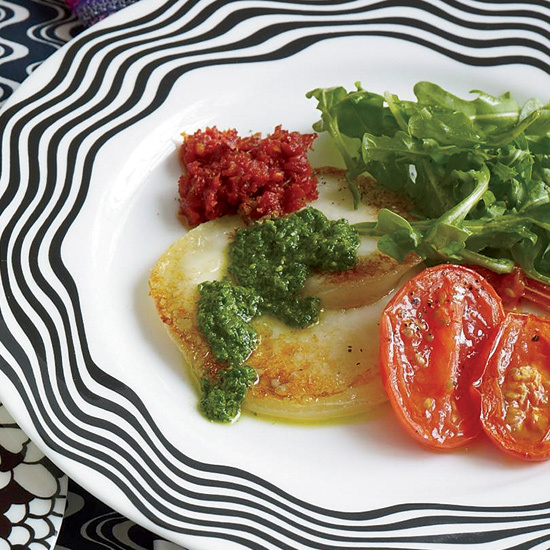 Pan-frying scamorza, a firm Itlalian cow's milk cheese, gives it an irresistible crust. Provolone would also work well. 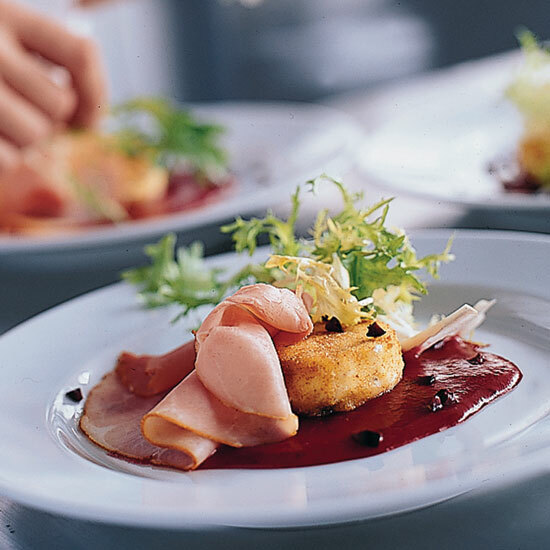 Star chef Jon Besh's terrific salad combines fried goat cheese medallions with thin slices of country ham.